At least five small earthquakes struck near Danville on Tuesday in the same general area where two other temblors hit Monday morning, according to the USGS. The latest temblor, a preliminary magnitude 2.8, struck at 6:16 p.m. about 2 miles from Danville, the USGS said. 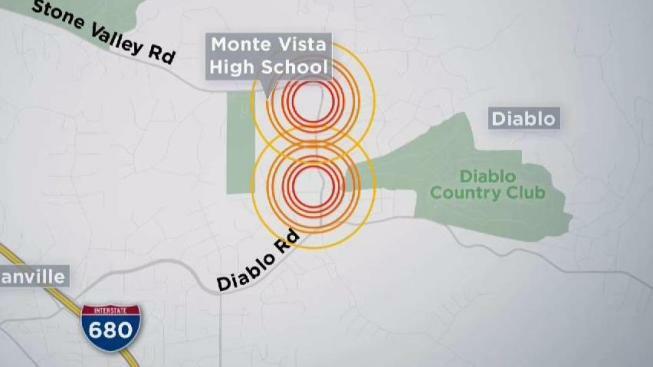 Three quakes rattled early Tuesday between 4:25 a.m. and 4:26 a.m. and ranged in magnitude from 2.6 to 3.0, according to the USGS. A 2.8 magnitude earthquake struck earlier, around 1:32 a.m.